The Railway Police in Srinagar is on an anti-tobacco mission, driving the ban on use of cigarettes in trains, and railway stations. An impressive figure reported in a local Kashmir daily stated the fact the state police made 23,754 challans and collected Rs. 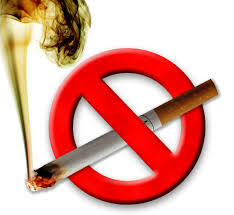 21.50 lakh as fine from the people in the state under section 4 of COTPA for smoking in public places during previous two years, between May 2013 and May 2015.